My favourite band, Idlewild, released its new album, Interview Music, on Friday. I’ve been listening to it nearly non-stop and it’s excellent! It somehow sounds like the same band I’ve been listening to forever, and also sounds fresh and full of new energy. It’s got some harder songs that definitely make me think of the band’s older albums, but the band is so so good at writing lovely little melodies that get stuck in my head, and there are plenty of those on Interview Music. I’m still trying to determine where I would put it in my personal album ranking (at this point, it’s below The Remote Part – but what isn’t – and at least equal to Everything Ever Written, so it will be interesting for me to revisit this when I’m much more familiar with the new album). Early favourite songs are I Almost Didn’t Notice, You Wear It Secondhand, Interview Music, and Lake Martinez. Go listen on Spotify! And of course, my other favourite band, BTS, is releasing its new album Map of the Soul: Persona this Friday, and performing on SNL on Saturday. AND a teaser for the new music video was released today. It doesn’t reveal much, except that the new song features Halsey, and the full video will come out Friday. I can’t wait!! BTS was also nominated for a couple of Billboard Music Awards, so I hope that means they’ll be at the awards show. On to books! 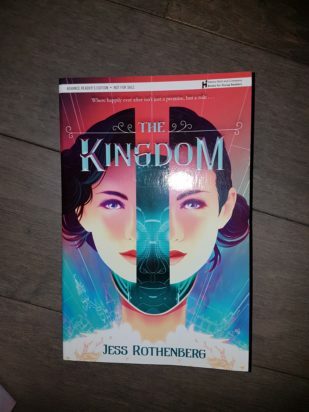 I was very excited to receive a copy of The Kingdom by Jess Rothenberg from Raincoast Books (thank you!). I’m planning to start reading this one soon! 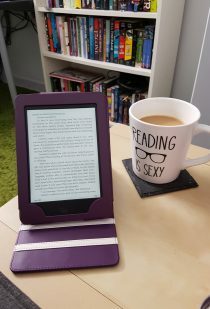 Wicked Saints, Emily A. Duncan (ARC) – this was so good! 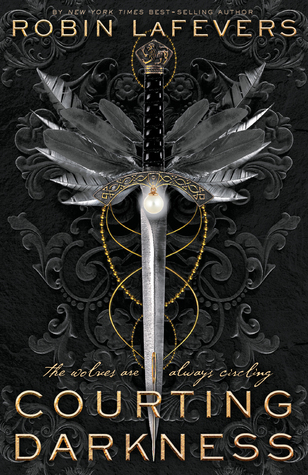 It’s out now, so check it out, especially if you like Leigh Bardugo’s books. I need to pick Courting Darkness back up! I love Robin LaFevers’ His Fair Assassin series and I was super excited for this book, so I want to turn my attention back to it. I think I am a bit intimidated because it’s a chunky book (my ARC is nearly 500 pages), but I feel like I’m ready now to get back to it. I posted my reviews of Un-Su Kim’s The Plotters (really liked this!) and Amy Gentry’s Last Woman Standing (I had mixed feelings about this one). Okay, time for some more reading with Interview Music on in the background. Happy Sunday!